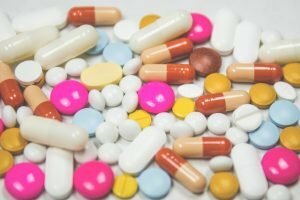 Placebo Effect – Real or False? A placebo is an inactive substance, such as distilled water, saline solution or sugar, which resembles an effective medication and causes an individual to believe that the substance is working. The word placebo, which in Latin means ‘I shall please’, was first used in the 14th century (Austin). This placebo effect is a measurable, observable improvement in behavior or health that cannot be attributed to medication, and has been much researched due to the fact that it demonstrates control of the human mind. The placebo effect provides a positive healing effect experienced by the individual who believes to be taking an active substance. Placebo effects can be beneficial to an individual by allowing them to trust that the substance is effective for treatment, providing spontaneous improvement of a condition. The placebo effect extends beyond the medical world and can effect individuals in society by convincing them to believe a concept that is false. One example is a non-medical experiment involving water bottles and tap water to depict how individuals can be convinced to believe in something that is totally untrue. Tap water was placed into brand name water bottles for individuals to taste. Throughout the experiment, individuals claimed to notice a difference in the taste of the water. However, the water tasted was actually the same in each bottle. When an individual has specific beliefs and hopes regarding a treatment that are combined with some form of suggestibility, there is an enhanced biochemical effects. Non-medical experiments continue to provide insight as to how individuals come to believe something that is false. The results of the placebo effect experiment show that individuals can be decidedly convinced or reassured based on what they hear, see or even taste, presenting the far-reaching effects of a placebo on society as a whole. Austin Frakt. “The Incidental Economist.” The Incidental Economist RSS. 9 Oct. 2014. Web. 28 Apr. 2016. Cherry24, Kendra. “What Is the Placebo Effect in Psychology?” Verywell. N.p., 24 Jan. 2016. Web. 27 Apr. 2016. FEINBERG, CARA. “The Placebo Phenomenon.” Harvard Magazine. Harvard Magazine, 14 Dec. 2012. Web. 27 Apr. 2016. “Outside of Medicine.” The Placebo Effect. N.p., 24 May 2011. Web. 27 Apr. 2016. The presented paper is one of the series of expository essay samples written by our academic professionals to help you with mastering college paper writing. Read our blog to find more expository essay samples, but we remind you that you are not allowed to use any of the papers or articles posted on our blog as your own. If you need a great academic paper you can use in any way you want to, place your order using the form below, and soon you will receive a top-notch essay created by our experts. Studying won’t ever be a struggle for you from now on!